Britain's plan to begin formal process of leaving EU will not be delayed, PM Theresa May's spokesman. 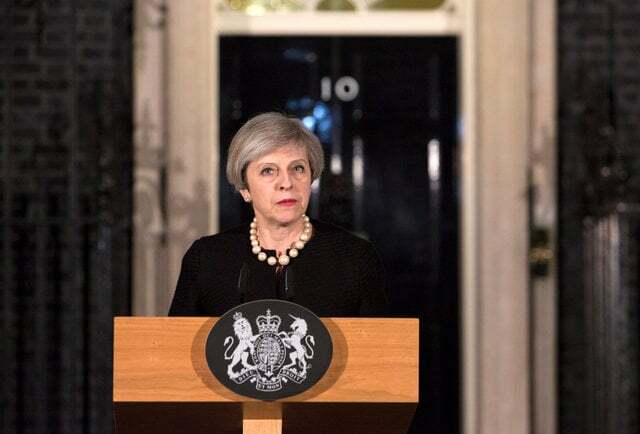 London: Britain's plan to begin the formal process of leaving the European Union on March 29 will not be delayed by an attack on parliament which left four people dead, Prime Minister Theresa May's spokesman said on Thursday. The attacker who killed three people near the British parliament before being shot dead was British-born and was once investigated by MI5 intelligence agents over concerns about violent extremism, May said on Thursday. Asked by a reporter if the triggering of Article 50 of the EU's Lisbon Treaty might potentially be delayed by the attack, May's spokesman said: "What the prime minister was equally clear on was that Westminster is getting back to business today, the country will do so and there is no intention to delay." The spokesman also said that since the attack the British leader had spoken with U.S. President Donald Trump, German Chancellor Angela Merkel, French President Francois Hollande and the Romanian Prime Minister Sorin Grindeanu, and had more calls planned. Police have said they believe they know the identity of the attacker but have not yet named him. May's spokesman said the intention was to name him as soon as possible.